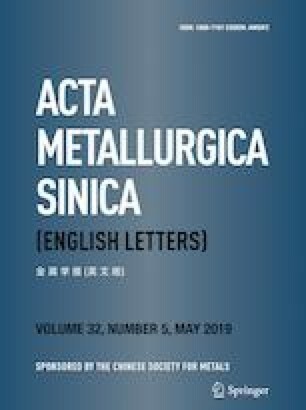 The microstructures and mechanical properties, especially creep properties, of the NiCrFe-based alloys with various contents of phosphorus and iron were investigated. The results showed that the tensile yield strength decreased with increasing iron contents while had no obvious change with the addition of phosphorus. For creep properties, the alloy with 15.8 wt% iron and 0.09 wt% phosphorus possessed the longest creep life (679 h) among all alloys. Only M23C6 was formed in the alloys with low phosphorus contents, while both intergranular M3P and M23C6 precipitated with the increment of phosphorus, which enhanced the strength of grain boundary by hindering the movements of dislocations during creep tests. The reasons for the enhancement of creep life were mainly related to the solid solution strengthening effect of phosphorus and optimization of grain boundary precipitations by phosphorus.